This dogwood tie bar or tie tack has a 16mm cabochon featuring my watercolor painting of bright pink flowers. Both settings are shiny silver tone. 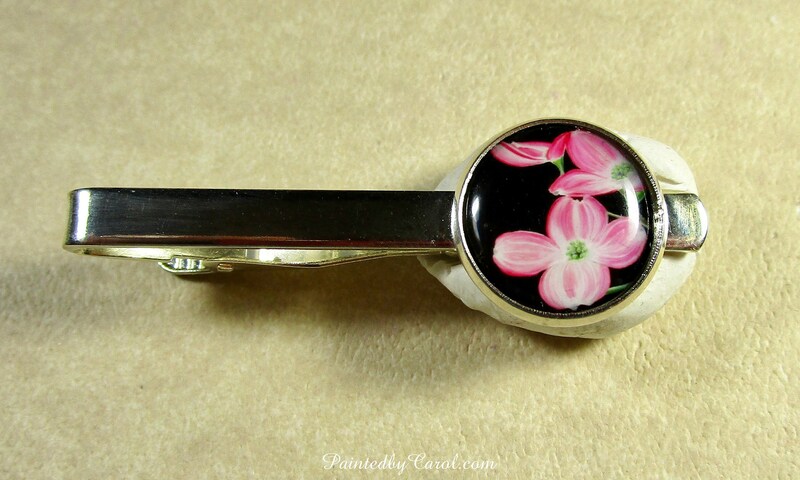 The tie bar is just over 2 inches long. The image is printed on professional photo paper and protected by an epoxy cabochon.